Take charge of your gut! Digestion matters. When your gut isn’t at its prime—when its balance of bacteria is altered—your energy levels, stress levels, sleep patterns, and ultimately your athletic performance can be impacted. Our gut health is affected by many things including our diet (of course), stress levels, medication use, and in general our lifestyle. We must be mindful and feed our body with foods that promote healthy gut microflora and a healthy inner ecosystem. With a newfound appreciation for the microbiome—trillions of bacteria and other microbes that live in our intestinal tract—more products (think fiber, prebiotics and probiotics) are geared toward improving gut health. To make sure you get enough fiber to fuel beneficial bacteria. Consuming prebiotic/probiotic-rich foods and a plant-based diet loaded with fruit and vegetable fibers will do this without you even knowing it! Gut health has always been a favorite topic of mine, from personal and professional experience, it’s fascinating to learn about this important system and how it affects all areas of health This gives more reason to consider eating foods rich in prebiotics/probiotics daily. Luckily, sources of probiotics are not hard to find—ever-expanding offerings of yogurt and dairy and non-dairy kefir, effectively accelerating probiotics and fermented foods into the mainstream. If dairy yogurt isn’t for you, try things such as fermented sauerkraut, kombucha, kimchi, and plant-based dairy alternatives. Expect to see more plant-rich recipes and menu items in 2019, especially at restaurants. Growing awareness about health and nutrition research with plant-rich diets, environmental impact, and food waste amongst others, find more people opting to eat plant-rich meals, no matter what lifestyle they identify with (re:vegan or not). Recent studies have shown that choosing plant-rich has less of an impact on energy, land and water resources than meat-based diets. Plant-based dietary trends will be popular, as the incorporation of more plant-based foods into the diet has been shown to be a great way to boost health. These magical mushrooms are showing up in supplemental pills, teas and coffee, and even chocolate. The variety of mushrooms used in these products are said to be adaptogens, natural substances that help your body respond to various stressors. Some studies suggest that adaptogens can help boost your energy, immunity and ability to concentrate. On the other hand, eating mushrooms on the regular is a good way to get some immune-boosting benefits as well as fiber and other protective compounds, including vitamin D. Mushrooms deliver a hefty dose of umami, helping even meat lovers feel that meaty taste. They are showing up in everything from coffee and teas, to health and beauty products, to “burger blends” on restaurant menus. Sugar will continue to be ‘not so sweet’ in 2019. The desire to avoid added sugar remains strong showing a continued increase in the number of people who believe carbohydrate causes weight gain with sugar being the most likely culprit. When integrating a reduction in added sugar into your strategy consider the following: Focus on added sugar, rather than total sugar. Remember natural sugars from milk and fruit are compatible with a healthy diet! Non-dairy milks will continue to be in demand and will become more mainstream in 2019. Plant and nut-based dairy - pea protein milk, almond milk, coconut milk, cashew milk, rice milk, hemp milk, oat milk and soy milk - will continue to become more popular. Hemp seeds and oils have been around for a while but now in lieu of the interesting data coming up regarding hemp-derived CBD - (which is different than marijuana as it doesn’t have the psychoactive attributes) coming up that it may help with anxiety, digestion and insomnia, many CBD-infused products, coming up worldwide. This is one of the surest trends that will explode in 2019. 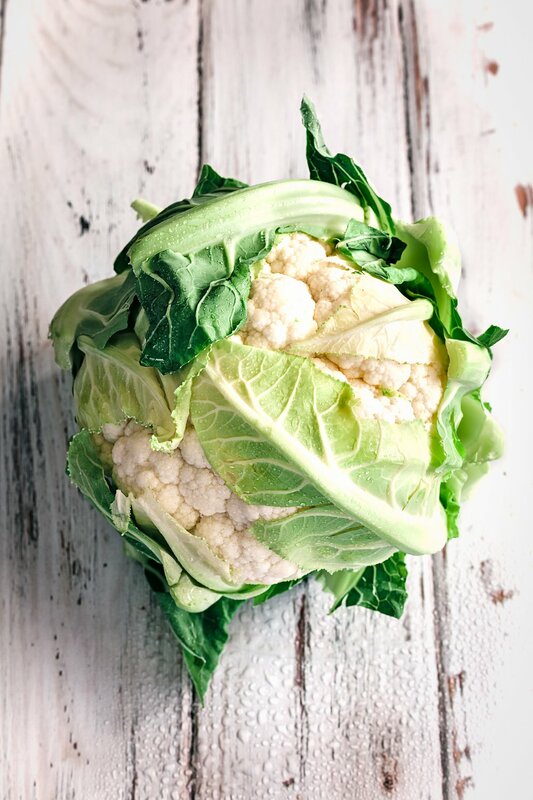 Cauliflower is predicted to move past the freezer sections and produce aisles to the, chips and cracker aisle. Probiotic cauliflower puffs are in your future. This versatile vegetable it made its way into smoothies, pizza crusts, rice and even pasta! What do you think about these health trends for 2019? Anything you would add to the list? We are excited to kick off the new year with a jam-packed editorial calendar full of thoughts and research about these topics. Let us know in the comments about the health trends you’re interested in learning about this year.